Takeaway: Boost the performance of your garden with the latest products available for modern growers. This time we are featuring innovative gardening solutions from Kind LED, SCROGGER, Current Culture, Reiziger, Quick-Qube, Blue Diamond, and Growtainer. These products are all #GoodtoGrow. With almost three quarters of a century of experience in the industry, Blue Diamond provides a range of ET air pumps that are perfect for wastewater applications. Ensuring plenty of water movement, the ET range can boost oxygen levels in the water, allowing aerobic bacteria to decompose. All while providing a clean, oil-free air source that is exceptionally quiet in operation, even when running continuously for long periods. 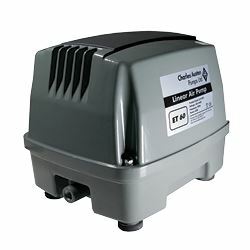 Within the ET range, the Envir-o ET60 boasts 2.12 cubic feet flow per minute and is also an incredibly easy service procedure with a competitively priced service kit. With a weatherproof, robust construction that is supported by the standard Blue Diamond range two year warranty, the ET60 is the obvious choice for a wastewater treatment pump. Blue Diamond also provides tubing, air stones, hose clips, and more. SCROGGER, a world leader in plant training and support kits, is proud to introduce the Smart P SCROG. When purchased in a six-pack configuration, the Smart P SCROG is their most cost-efficient kit ever. Smart P SCROG is a low cost ScrOG kit, complete with a five or 10 gallon Smart Pot. 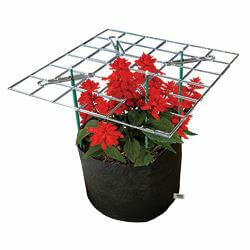 Each single pack contains one each and each money-saving, bulk six-pack contains six of the following items: a single 21-inch patented polycarbonate screen with 3.25-inch openings, a set of four adjustable stakes (which adjust to approximately 18-36 inches), eight eight-inch zip ties, and an original Smart Pot (five or 10 gallon). The system sets up in minutes without tools. 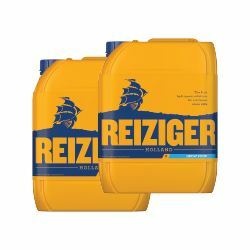 Everything Reiziger does is grounded in a history of more than 30 years of formulating fertilizers to a traditional recipe. Sworn by Dutch craftsmen for decades, this legendary two-part nutrient system gives the most vigorous growth rates possible. For Dutch hydroponic master gardeners, growing is an art form. It is about long-standing craftsmanship and the unique blend of art and science. To help them master their craft, Dutch breeders and growers swear by Reiziger Grow Food A & B for greener, lusher plants. When you use Reiziger, you join the ranks of generations of Dutch craftsmen who know how easy it is to achieve rewarding growth rates. Search for the ship on the gold bottle. 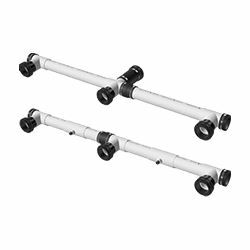 In their continuous effort to push design and innovation within the hydroponic industry, Current Culture has announced the newest upgrades to their Under Current systems: the CCH₂O EZ Clean Delivery and Return Manifolds. Designed with growers’ needs in mind, the CCH₂O EZ Clean Manifolds feature Wash-Out Tees with Caps that allow for efficient manifold maintenance and cleaning. Flexible couplings offer quick and easy assembly and expansion without glue. Made from durable, non-translucent ABS, the CCH₂O EZ Clean Manifolds offer long-lasting performance and are proudly manufactured in the USA. Join the Hydroponic Evolution. 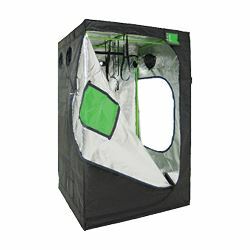 Green-Qube is once again shaking up the grow room industry with a revolutionary new tent concept. The Quick-Qube represents a new way to create an easy growing space. Adapted from an industrial gazebo frame, the patented pop-up framework combines Green-Qube’s class-leading outer shell with a super sturdy, yet lightweight aluminum frame. The Quick-Qube is fast, easy and requires almost no effort to erect. Its aluminum frame is 1.4 millimeters thick and has incredible strength, holding over 100 kilograms. Best of all, it’s anti-corrosive so will never rust. It also allows you to truly maximize your growing floor space as there are no intruding floor poles, just five adjustable legs. Get growing in record speed, as the tent also offers instant collapsing and neat and easy storage, with no chance of poles or corners being mislaid. Available for all large tent sizes from September 2017. Pre-orders now being taken. Growtainers is pleased to announce the availability of their custom-designed, food safety compliant 53-foot commercial container farm. 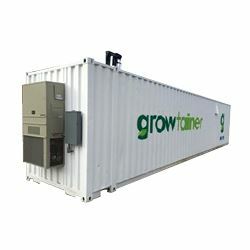 Unlike any other container farm in the market today, the state of the art Growtainer includes a separate 96-square-foot prep area which prevents contamination or climate fluctuations entering the production area. Equipped with a proprietary Growrack system, with 480 square feet of ebb and flood growing space, energy efficient LED lighting, high tech climate and environmental controls, water quality monitoring and dosing system, and a proprietary irrigation system, these professional units are built for high volume production. 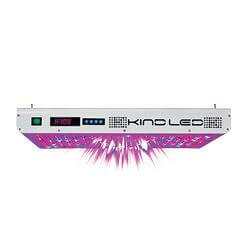 Kind LED Commercial Grow Lights challenge the standard of high-performance horticulture lighting technology, having passed the stringent safety requirements needed to earn a certification from respected UL Laboratories. Finding a grow light with UL certification doesn’t mean that cost, wattage, or PAR output must be compromised. Kind LED grow lights use 40 per cent less power, saving nearly half the costs of the electricity used for a traditional HID grow light. With eight-stage internal timers and a complete 12-band proprietary spectrum, growers can program the Kind LED grow light to mimic sunrise and sunset, resulting in faster, healthier, larger, and better-quality yields. A secondary optical lens magnifies PAR and increases canopy penetration by up to 200 per cent, significantly increasing “under canopy” production and yield.